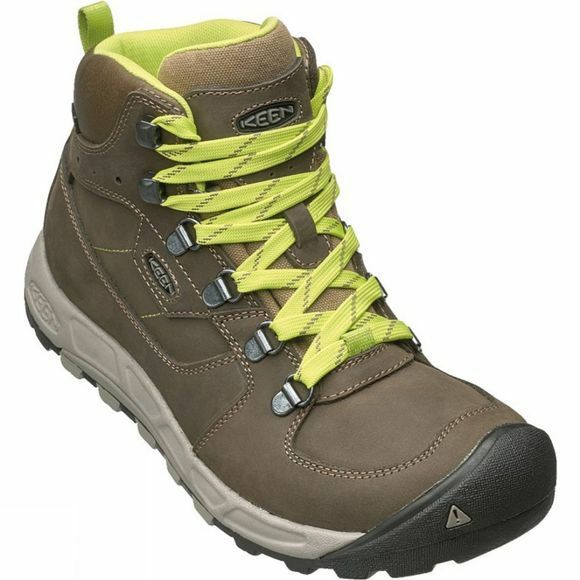 The Womens Westward Mid Leather Waterproof Boot from Keen helps you cover the miles in comfort. It is crafted from a stylish suede and canvas combination. A high-cut collar cushions your ankles, and a stability shank offers support. European Made with materials from around the world.